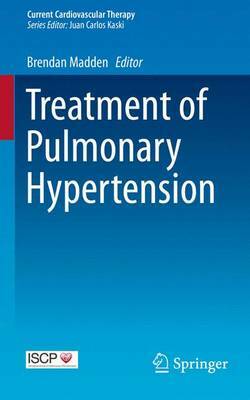 This title will be presented as highly practical information on pharmaceutical options in pulmonary hypertension, written in a quick-access, no-nonsense format. The emphasis will be on a just-the-facts clinical approach, heavy on tabular material, light on dense prose. The involvement of the ISCP will ensure that the best quality contributors will be involved and establish a consistent approach to each topic in the series. Each volume is designed to be between 100 and 150 pages containing practical illustrations and designed to improve understand and practical usage of cardiovascular drugs in specific clinical areas.